Tires are like any other product. The higher the price, the better the quality. There are plenty of tire suppliers who are willing to provide customers with quality tires at affordable rates. If the price of a tire seems too good to be true, do a little bit of research. Find out what brand the tire is; look up customer ratings and reviews, and always look for the stamp of quality or the mark of approval from DOT and other associations concerned with road safety and product quality. Also, before settling on a particular brand, compare tires of at least two different tire companies before making your decision. 2. Every car has different tire requirements. Your car, like every other car, emerges from the place of manufacture with tires of a particular size. This means the car’s brakes, smooth handling, steering response and the quality of the ride are all adjusted as per the size of the wheels on your car. If you decide to change the tires, replace them with those that match the original ones. If you try to change things, it will affect the performance of your vehicle and even your safety while driving. So, it is best to stick to the recommendations provided by your vehicle’s manufacturer. 3. How you use your vehicle will affect your tires. Say you drive a light truck. Carrying heavy loads is not advisable, because it will affect your tires. The heavy load will exert a greater force on the tires, causing them to wear out much faster than they should. So, if you intend to transport heavy loads or tow heavy things like other vehicles, choose your vehicle properly. The terrain on which you drive will also affect your tires and the mechanism through which they function. All-terrain tires are great for everyday on-road travel and light off-road use. A regular city car definitely won’t survive a sandy terrain or a rocky terrain. 4. The anatomy of a tire. A single tire comprises around 20 to 25 different elements. There is the inner liner with fabric belts wrapped around it, steel belts, some more fabric belts, and other materials that form more layers in between the inner liner and the treads on the tire surface. The quality of the ride, the tire’s strength and its ability to suppress noise depend on this layering. Most people don’t realize this, but tires are constructed from the inside out, and, it all starts from the inner liner of the tire. 5. Tires play a part in fuel economy. Did you know that, depending on the type of tires you use, you can save fuel? Tires that have greater rolling resistance require more fuel. 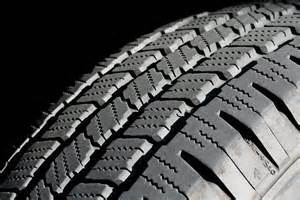 Tires with low rolling resistance, on the other hand, do not need the same amount of gas to move the vehicle forward. Tire companies are doing their best to develop a range of low rolling resistance tires to help vehicle owners save fuel. Note: A tire’s rolling resistance will depend on the air pressure in the tires and how heavy the load of the vehicle is. 6. What to expect from your tires. Grand touring and touring tires are perfect if you prefer a smooth and quiet ride, but if you want amazing performance, consider getting UHP or summer tires. However, bear in mind that these tires will wear out much faster than touring or all-season tires. Also, if you live in a region that experiences snow during the winter, the best tires for you are all-season tires. 7. Low-profile tires are not for everyone. The newly introduced low-profile tires are a major hit among many drivers because of the performance they deliver in terms of steering response and cornering performance. Even the aesthetics of these tires are appealing. However, using them on traditionally designed cars with softer and taller sidewalls will result in a much harsher ride than expected. The next time you get into your car, think twice about how your tires keep you safe, save fuel, and deliver a smooth ride. Your car tires are important and should be given the respect they deserve.